Spatial Data Warehouse has changed its name to Alberta Data Partnerships to reflect its evolving vision of making Alberta’s spatial data more comprehensive and accessible. Alberta Data Partnerships (ADP) is a non-profit, public-private partnership created to provide long-term management of comprehensive digital data sets for our stakeholders. Governed by a board of directors, ADP has the core purpose of maintaining and promoting the broadest possible distribution of provincial digital mapping that meets the immediate needs of the Alberta market. Through the Mapping Data Agreement with the Government of Alberta and other key contracts with data creators, ADP is committed to making Alberta’s base mapping infrastructure more available, accessible, accurate, and affordable. ADP operates in a joint venture agreement with an operating partner, AltaLIS Ltd. The AltaLIS website is the medium through which users can access data sets. ADP also has a contract with Abacus Datagraphics to deliver Public Lands survey plans through its Badgr application. Alberta Data Partnerships is governed by a board of directors who reflect the needs of the province of Alberta and its industries. The board is made up of representatives from the Government of Alberta, utility companies, municipalities, forestry, oil and gas, and other stakeholder associations. 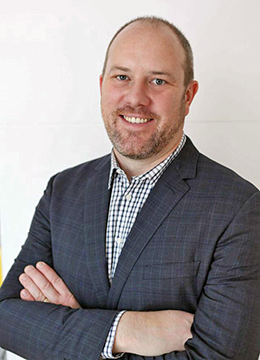 As executive director, Erik is responsible for building relationships between Alberta Data Partnerships (ADP) and its stakeholders, including the key partnerships with the Government of Alberta, AltaLIS, Abacus Datagraphics and MNC Ltd. Under his leadership, ADP will work to develop accountabilities, increase the number of ADP licensed data sets, provide financial oversight, and implement project metrics to strengthen ADP’s sustainability and its ability to meet the mandate that ADP has with all its stakeholders and the people of Alberta. Erik, along with the president of ADP, serve on the Joint Venture Management Committee of AltaLIS. We ensure key geospatial data sets are complete and accurate. We connect the creators and users of geospatial data. We create a forum for discussion around geospatial data. To learn more about Alberta Data Partnerships and how we can help you, contact Erik. Copyright © 2015 Alberta Data Partnerships Ltd. All rights reserved. Alberta Data Partnerships is here to manage, improve, and make accessible all of Alberta’s spatial data, in conjunction with AltaLIS. Users are able to access complete and accurate data sets that they need. Currently, all base data is open and free of charge. Alberta Data Partnerships (ADP) has provided all of our stakeholders with tremendous value since it was established in 1997. Our board provides the organization with strong governance and a unique viewpoint that allows ADP to make decisions that benefit all Albertans. Supported in day-to-day data management and distribution by AltaLIS and Ababcus Datagraphics, private and for-profit corporations, we have seen large cost savings, overall improvement of data sets, enhancement of delivery systems, and the addition of new data sets. We are now able to accommodate stakeholder input for continuous improvements to meet the needs of our users. Operating since 1997, ADP (originally Spatial Data Warehouse) has been an overwhelming success. Initially tasked with preserving past investments and improving Alberta’s base mapping, several technical and customer focused business initiatives have resulted in a dynamic maintenance process, the creation of new data sets, improved communications among stakeholders, and immediate access to provincial mapping products for all sectors of industry. Alberta Data Partnerships (ADP), the Government of Alberta (GOA), and AltaLIS periodically host stakeholder forums and workshops, or commission projects and studies, with the intention of soliciting input, providing information, and gathering feedback. We follow up by coordinating initiatives to improve the quality of base mapping in Alberta. ADP, with the support of GOA and AltaLIS, has established several product-specific external advisory groups (EAGs). A broad base of users and key stakeholders meet to provide SDW and AltaLIS with important feedback and advice on specific mapping products. These meetings help ADP and AltaLIS to identify product improvements and sometimes new products based on input from users. Three EAGs have been established to date.